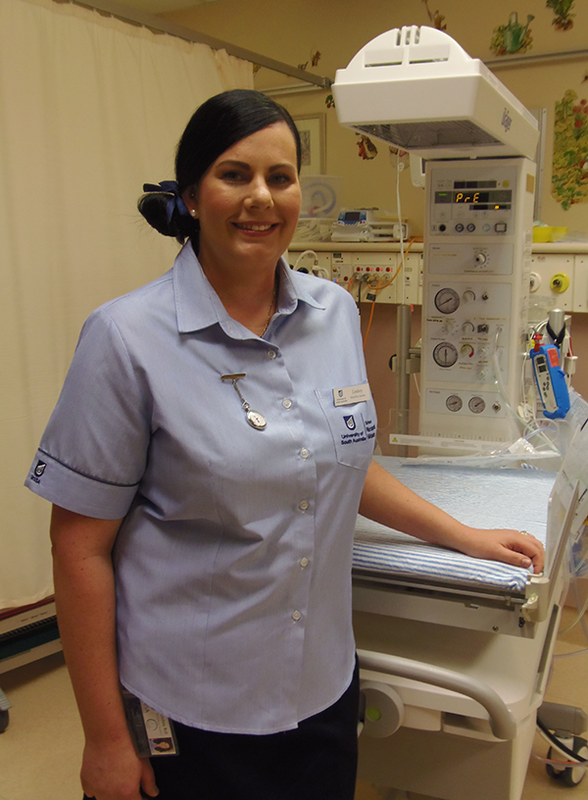 This year’s recipient of the 2017 David Bowler Memorial Award $5,000 scholarship has always dreamed of becoming a Midwife and is very grateful the bursary will help her fulfil that lifelong dream. Broken Hill resident Lindsey Ball began her Midwifery degree last year at University of South Australia and for the next three years will be juggling studies, clinical placements and raising her young family of two daughters (aged 2 and 5) with her husband. The David Bowler Memorial Award, sponsored by the Far West Local Health District and Broken Hill City Council, is an annual grant that commemorates the name and work of the late Dr Bowler, who was a highly-respected paediatrician at Broken Hill Health Service. The Award is a $5,000 lump sum payment to a student pursuing a course in a health-related discipline at a recognised tertiary institution. It is designed to provide financial support to a local student by helping pay for the costs associated with that study. Lindsey said she and her family are extremely grateful to the family of the late Dr David Bowler, the Far West Local Health District and BH City Council for making the scholarship possible. Broken Hill Health Service General Manager, Mr Ken Barnett, congratulated Lindsey on winning this year’s scholarship. “On behalf of the health service, we wish Lindsey well in her studies and look forward to one day welcoming her to the great Midwifery Team we have here. Broken Hill Mayor Darriea Turley also congratulated Lindsey on winning the scholarship. “Each year this prestigious award provides a massive boost to a local looking to forge a career in health care, and I congratulate Lindsey on being a very worthy selection,” said Mayor Turley. “It’s wonderful to see the award go to an enthusiastic and driven young woman who is pursuing study in such an important field.